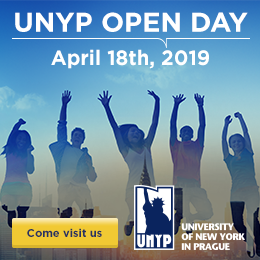 UNYP Career Days 2019 are just around the corner. 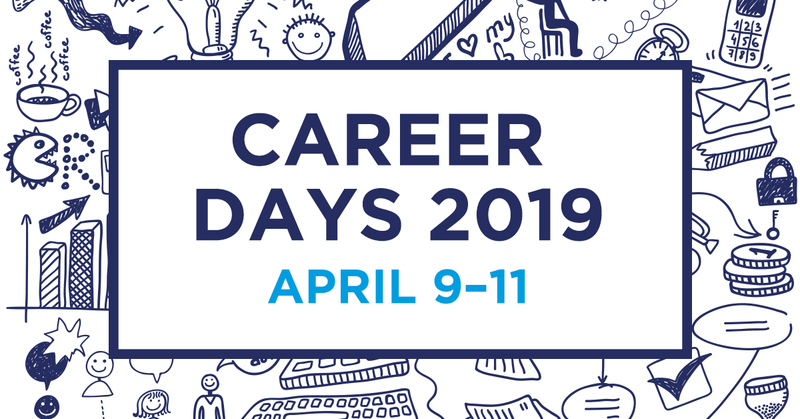 As usual, this year’s Career Days are split into two sections: workshops on April 9 & 10 and company stands on April 10 & 11. This event is not just an ordinary Job fair but a series of interactive workshops and company stands which gives you a great opportunity to meet and talk to the representatives of companies that regularly hire UNYP students and graduates. 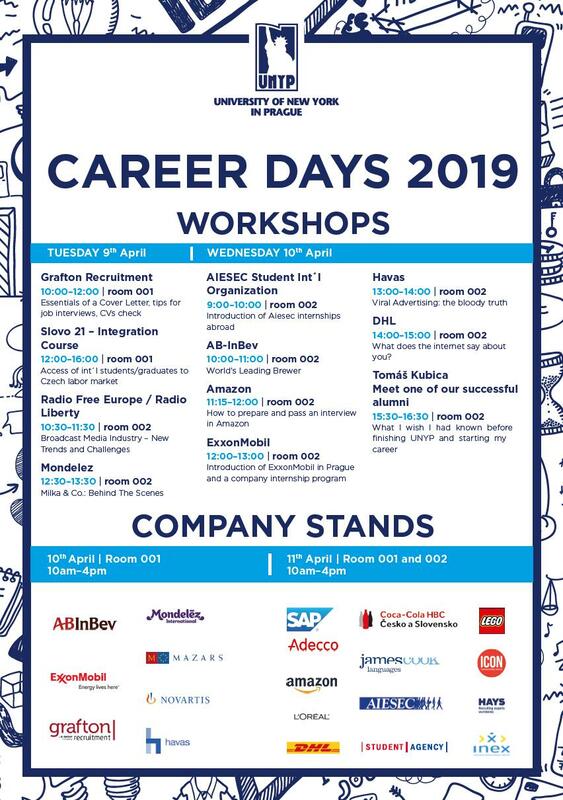 You can even meet our graduates who participate in Career Days as recruiters and hear their testimonials on what it is like to work for the company, what kind of skills and qualifications they look for and how to apply. Should you have any questions, please feel free to contact us or stop by at the Student Affairs / Career Office on the 4th floor!